A winter survival trip is a challenging endeavor. I went out into the winter weather to practice survival skills. 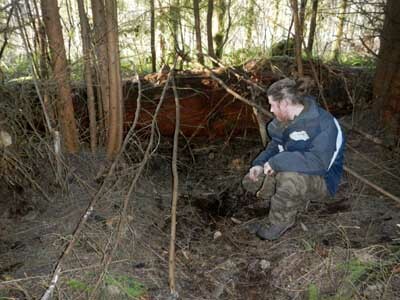 I headed out for two days and two nights of furthering survival skills knowledge along with my housemate Richard. The wet and cold conditions of the Cascade Mountain foothills in Washington State are a difficult place to survive in January. Other than the clothes on our backs, the only modern tools were a steel knife and a metal canteen. Here I am working on taking care of the first survival priority: shelter. I am inspecting the site and planning how best to structure the shelter by maximizing heat retention while minimizing energy expenditure in building the shelter. This is a difficult balance that takes a great deal of practice. Here Richard emerges out of the completed shelter. 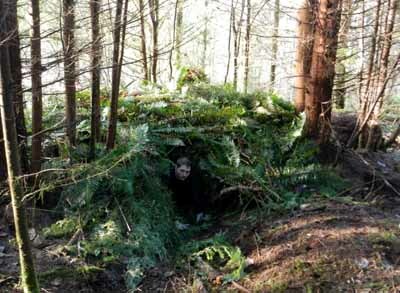 This shelter was insulated by heat-trapping walls made out of ferns and evergreen branches. It was heated by a fire near the entrance. 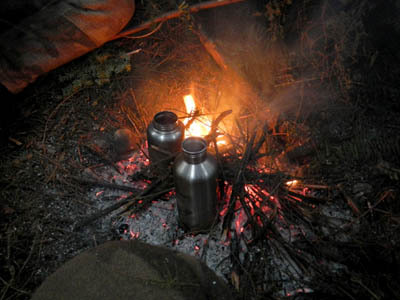 Fire was the next survival priority, as it was needed to boil drinking water. 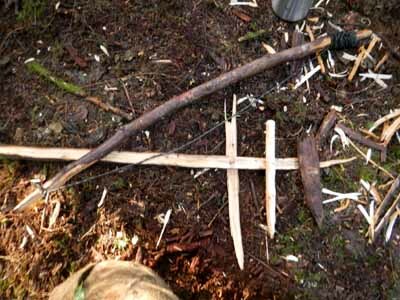 Making a fire with the bow and drill turned out to be very difficult because all of the wild-harvested materials were saturated from months of rain. After several hours of difficulty, fire was acquired at last. 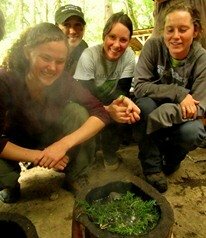 The first priority immediately after was to boil and therefore, purify the water harvested from the local creek. Re-hydrating after the exertion of the shelter building was vital. Overall, this trip ended up being a humbling and powerful learning experience. There is always more to learn about wilderness survival, and it is important to push ourselves to learn under a variety of conditions. About the Author: Gabe Garms is passionate about permaculture, ethnobotany, birding, and wilderness survival. He wrote several articles while teaching at Alderleaf. Learn more about Gabe Garms.